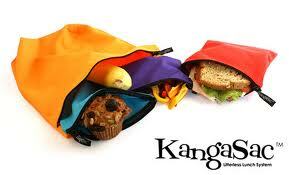 Not that I am in the business of product reviews, but I have to say that I have been very happy with my KangaSac products, and have been the recipient of some excellent customer service from the company. I own four snack bags and two sandwich bags – they are lovely colours, wash up easily (by hand for small messes, or in the washing machine for very messy bags), dry quickly and are easy to use for even the smallest hands. I have had a few of them for over two years, and the others are about 18 months old. Sadly, the zipper pull fell off one of the sandwich bags a few weeks ago. I emailed the company to inquire about a replacement part, and they offered to just send me a replacement. The replacement bag came within a week, no questions asked – I was very happy. I know that people are much more inclined to complain about poor service than to provide thanks for good service, so I just decided to share my appreciation online. 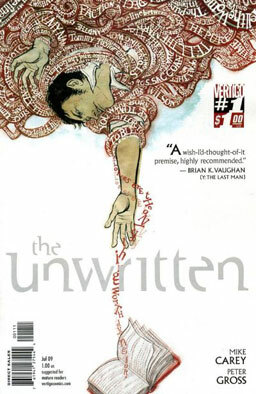 The Unwritten is one of my favourite graphic novel series, second to Neil Gaiman’s The Sandman. It is a lovely series, with a clever central concept and some beautiful art, particularly the cover of the first trade paperback, above. The story centers on a young man named Tom Taylor, whose father wrote an enormously successful series of YA novels about a young wizard named Tommy Taylor. Tommy has an elder mentor, an evil adversary, two best friends who accompany on his adventures, etc. The Tommy Taylor novels are an obvious reference to the Harry Potter series, but parodied slightly as much more saccharine. However, the reading public loves these stories and the mythology around them, attending conventions and having online discussions. Referencing the life C. R. Milne, Tom grows up hating his notoriety, feeling the association with the character has tainted his childhood and how people relate to him. 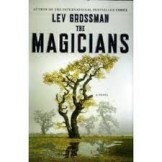 As this book references many common adventure/fantasy tropes, Tom’s father has disappeared, mysterious strangers appear to lead him reluctantly on a dangerous quest that is not quite understood. Although these devices are used as framing devices for the story as a whole, they are used in a knowing, self-referential way which I found appealing. As the series has progressed, the back story of the supporting characters have been revealed, and the overarching plot has begun to be revealed slowly. Like Gaiman’s work, Carey and Gross seem content to slowly let the story develop, trusting the reader to have patience and invest in the story as it unfolds. Of course, it is always more complex than it seems, so even by the end of the third volume it does not seem as though all the pieces are in place. Readers who enjoy Jasper Fforde’s Thursday Next novels will appreciate how stories are woven into the landscape in The Unwritten, part of the fabric of reality. In this world, some people are able to enter or understand a story, along with all the events associated with it’s creation; the stories can be tampered with and twisted to serve as tools in grander plans. Stories mirror reality, they are intertwined and shape people and the world, and of course that is a source of power and control. I have really enjoyed the series, and am eager to read the next volume.